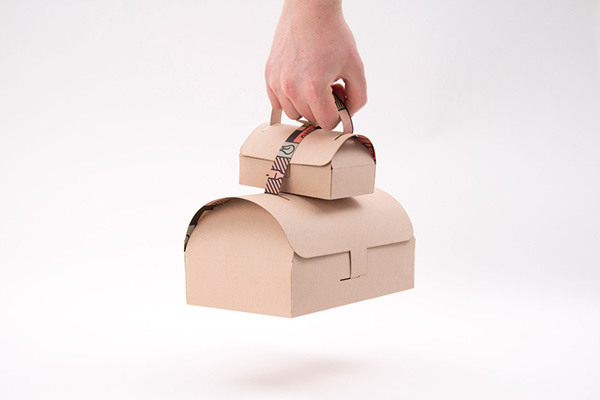 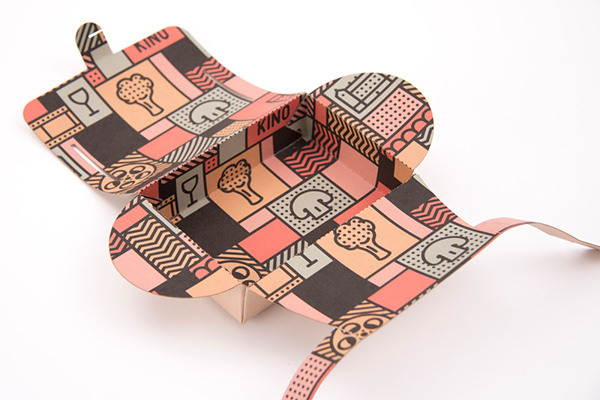 Swedish designer Gustav Karlsson has created a clever takeaway packaging for Gothenburg-based Kino, a restaurant, bar and cinema—these stylish boxes are a well-executed redesign that addresses many of the original’s problems. 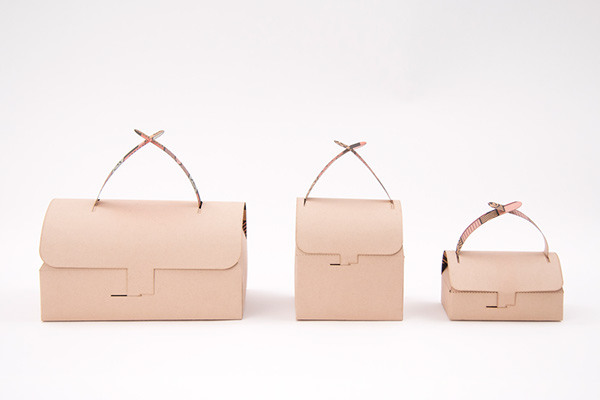 The goal of the project is to create something that is both visually striking and functional—the result is an eco-friendly, microwave-safe set of boxes made of starch-lined paper. 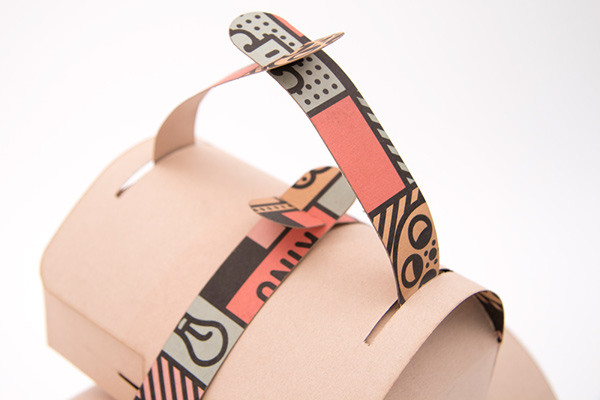 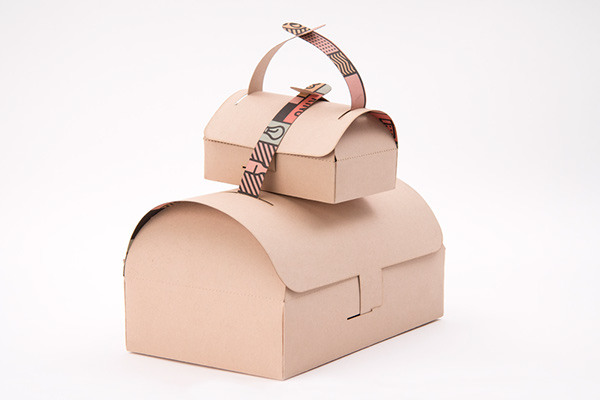 Not only can the lids be detached to turn these boxes into handy plates, they can also be “interlooped like a party paper chain” for easy carrying, eliminating the need for another bag to hold them in. 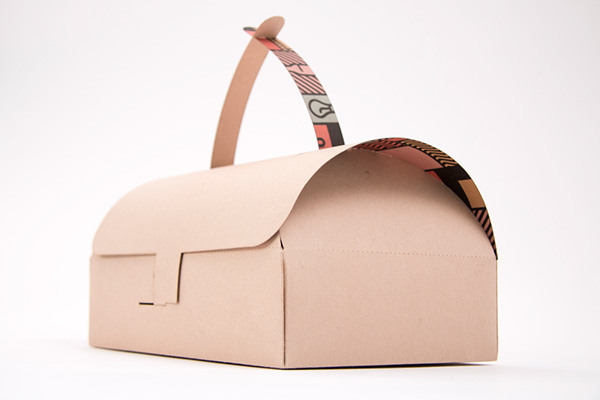 While the outside of these “100% compostable” takeaway boxes are in a nondescript matte tan color, a vibrant pop-art print of vegetables are hidden on the inside to give the diner a pleasant surprise. 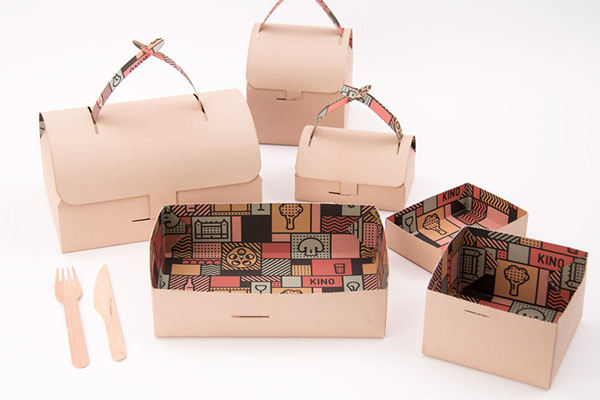 View more images of this lovely packaging project here—wouldn’t you love to bring food home in one of these takeout boxes?